For children ages 5 to 8. Experience gaming magic like never before. Download the game to your LeapPad, and use the LeapPad camera to activate 31 cards to bring learning and fun to life onscreen. 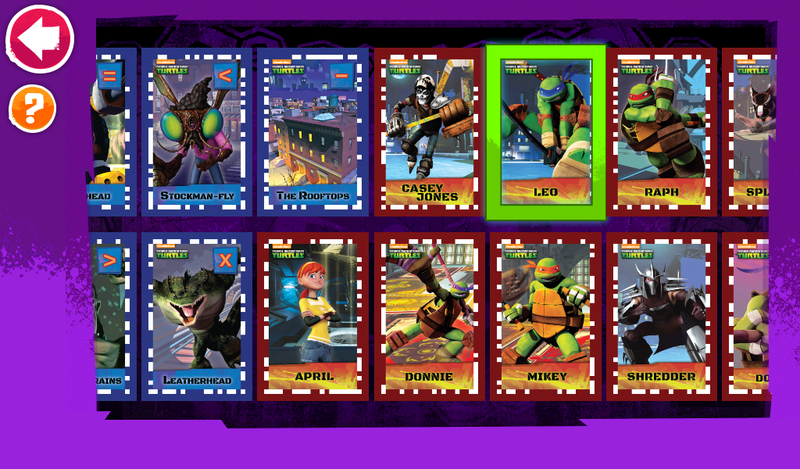 Activate character cards to play as Mikey, Leo, Donnie and Raph. 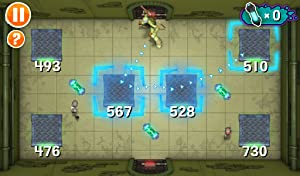 Activate number cards to solve equations and capture enemies, slice and dice pizza with fraction cards, and jump on numbered platforms. Activate cards to answer 50+ trivia questions. 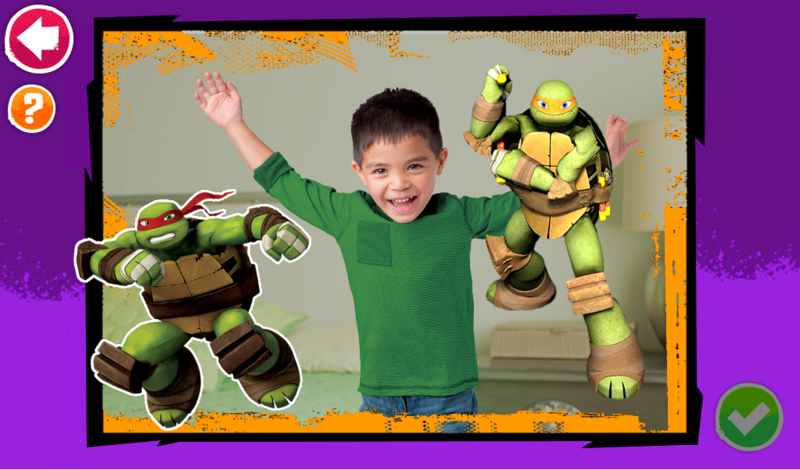 Bring the Turtles and other items to life onscreen and watch them interact. 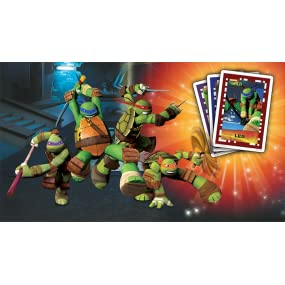 Plus, pick a Turtle and a ninja pose, then take far-out photos with Mikey, Leo, Donnie and Raph! 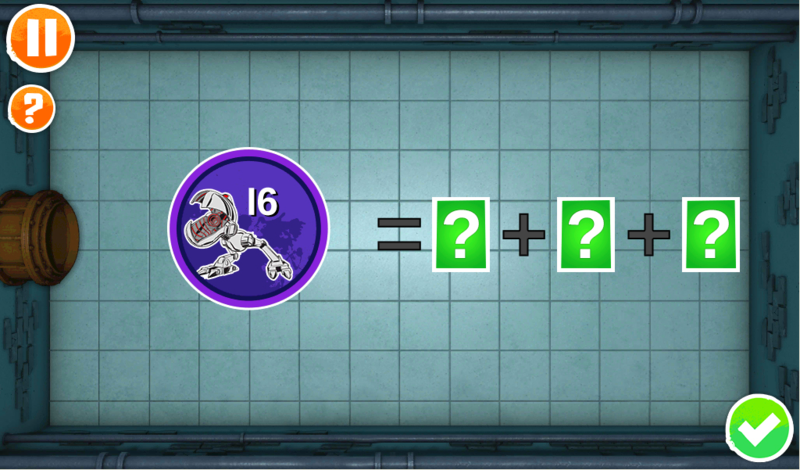 Activate digital cards from the in-game gallery whenever your interactive cards aren’t on hand. Collectible tin provides easy storage; clean up fast or take them along to play at a friend’s house. 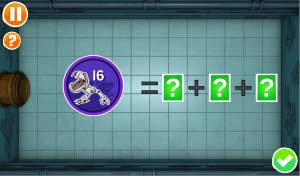 Deactivate security locks by using number knowledge to identify odd vs. even numbers, solve for greater than or less than, and identify numbers by place value. 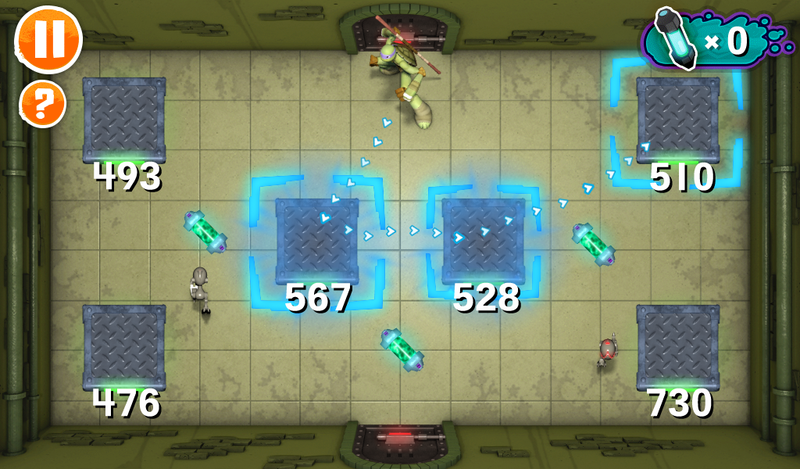 Go on special missions to trap Mousers, and use curriculum cards to calculate how many you have captured. Add, subtract, divide and multiply ingredients to make pizzas to order. 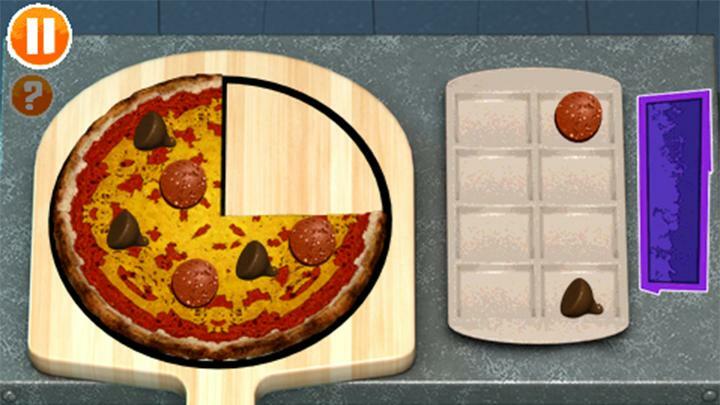 Then, choose the correct fraction cards to see how much the team ate! Because every child learns differently, this game personalizes the learning in six ways to keep your child challenged and learning at just the right level. 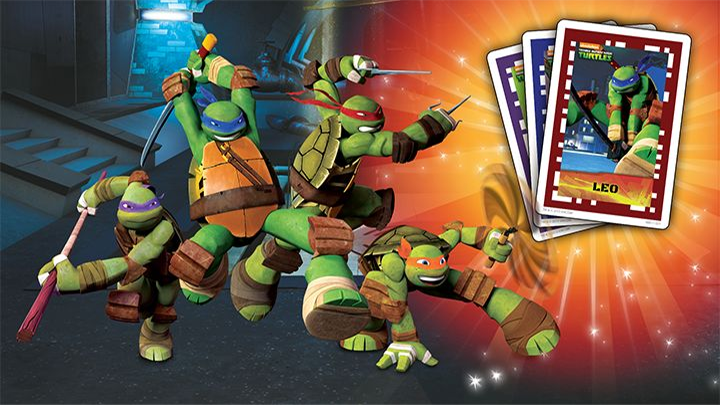 Experience gaming magic like never before with LeapFrog Imagicards Teenage Mutant Ninja Turtles , an all-new digital learning game that brings 30+ LeapFrog Imagicards game character and curricular cards to life onscreen. 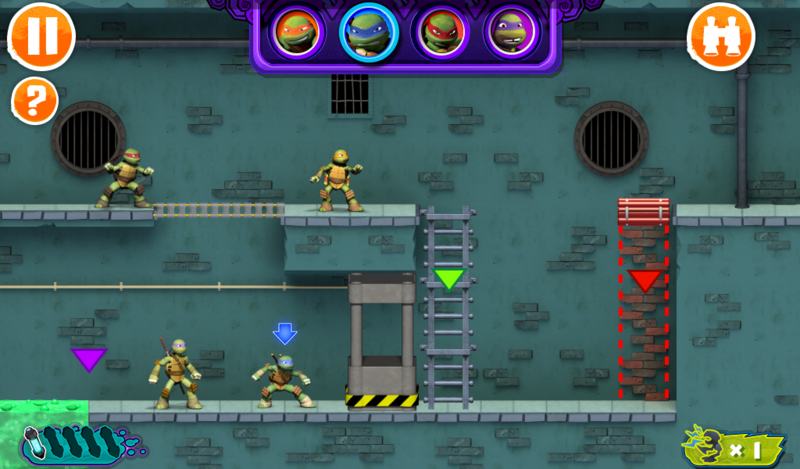 Team up with the TtTurtles and deploy shell-tastic mathematics skills to recover mutagen canisters that are scattered around the city. For children ages 5 to 8. 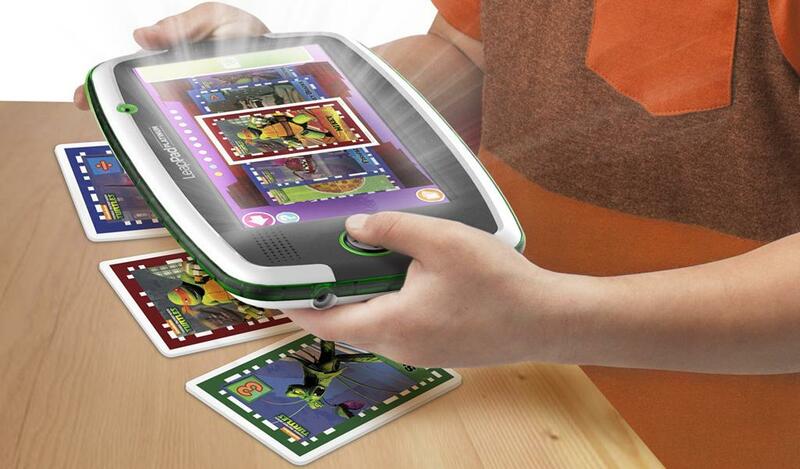 Works with LeapFrog LeapPad tablets (excludes LeapPad1). 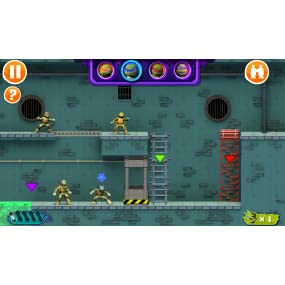 As you download the LeapFrog Imagicards Teenage Mutant Ninja Turtles game to your LeapPad tablet, children can sort the cards and explore offscreen activities on the included play mat. When you're ready to play, the game will launch your child into the action. 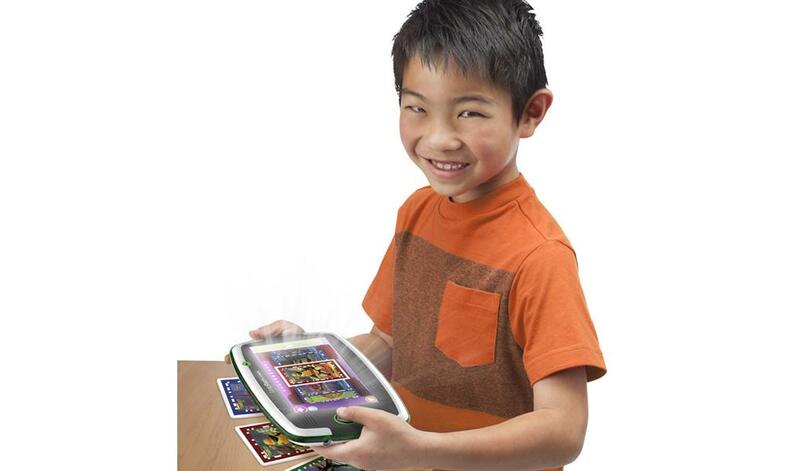 Use the LeapPad camera to capture cards and unlock magical gameplay onscreen. 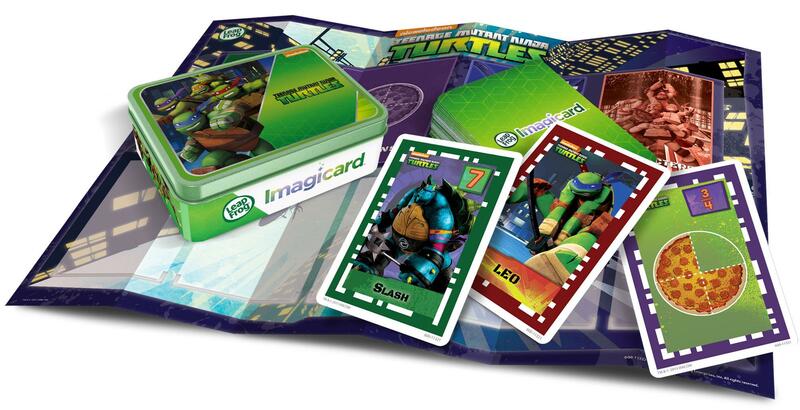 LeapFrog Imagicards Teenage Mutant Ninja Turtles includes a downloadable game, 30+ LeapFrog Imagicards game character and curricular cards, a play mat, a digital card gallery (so children can play without cards on hand) and a collectible card storage tin.